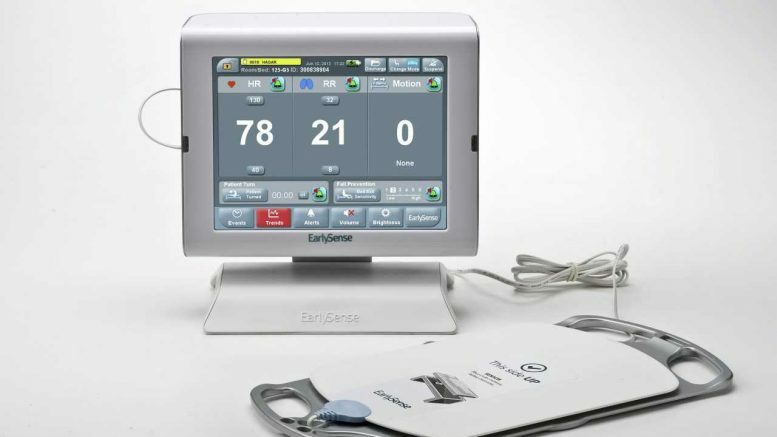 EarlySense, the market leader in contact-free continuous monitoring solutions across the care continuum, announced today that its 10,000 installed systems have surpassed one million patients monitored. With growth stemming from within the company itself, and via partners such as Philips and the world’s leading hospital bed manufacturer, Hill-Rom, EarlySense expects to monitor an additional estimated three million patients in the next three years. Over the past year, EarlySense helped clinicians save more than 180,000 patient hospital days, assisted in the prevention of over 14,000 pressure ulcers, and also helped hospitals save over three thousand lives. Placed under a bed mattress, EarlySense’s patented sensor utilizes artificial intelligence and big data analysis to accurately monitor heart rate, respiratory rate, motion and sleep. The medical technology is FDA cleared, CE-marked and approved in South Korea.